Police are investigating a report of a shooting incident on Xocol Street Bahia Area, Caye Caulker Village. Sometime after midnight last night on Caye Caulker, a pregnant woman, her boyfriend and her brother-in-law were all shot, receiving various injuries due to the shooting which occurred on Monday, March 6th shortly after 2AM. According to reports, the victims include a female listed as critical at the Karl Huesnuer Memorial Hospital (KHMH) and two males in a stable condition. Police have apprehended two persons in connection to the shooting. The suspected gunmen were taken to the San Pedro Town police station where they remain detained. Police have detained two persons in relation to a shooting incident, which occurred in Caye Caulker Village on Monday, March 6th. 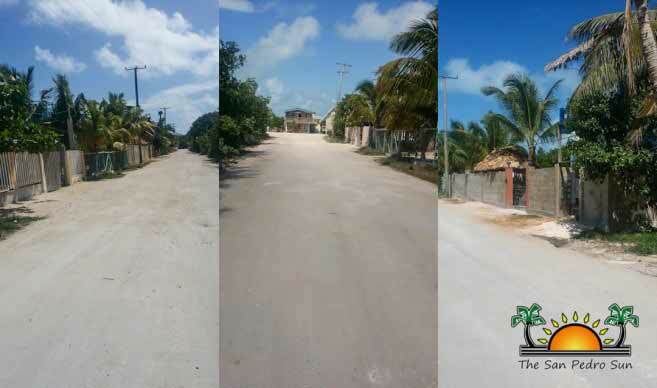 Since then, the Caye Caulker Police Formation, along with the assistance of the San Pedro Formation, have launched an extensive investigation into the matter. According to the most recent report, on Monday, March 6th at 12:23AM, McFarlane, Garcia, and Munnings were attacked on Xocol Street of Bahia Area by a male person. He had a rag over his face and fired several shots towards them. As a result, McFarlane received gunshot injuries to his left upper back and left leg, while Garcia received injuries to his left leg and left lower back. However, the injuries to Munnings (Garcia’s common-law wife) were to her left upper shoulder and were reported as very serious. On Monday afternoon, March 6th, police were able to apprehend two male persons of interest, who they believe can assist them in their investigations. They were taken to the San Pedro Police Station, were they are being detained as police continue investigating the matter. Camille Munnings is a strong hard working mom of 2 beautiful daughter who lives in Caye Caulker, Belize. She was always smiling and happy, loved by all who knows her. She was always the life of the party, the jokester who made everyone laughter. Mother of two, Camille Munnings, remains in a medically induced coma at the KHMH with a bullet lodged in her head. Munnings, her common-law-husband and another man were shot in Caye Caulker this weekend. Neither man received life threatening injuries, but Munnings' family says she's in critical, but stable condition. Her sister told us earlier today that the swelling in her brain has gone down slightly. Another CAT scan is scheduled for Friday, after which doctors should have a better idea about how to proceed.